A friend got back from a business trip to Japan a few weeks ago. She came to Monday night knitting and brought a box full of Japanese KitKats. Check these out. Isn’t is cute? On the back you can make a gift of them by filling in the “From” and “To” sections. 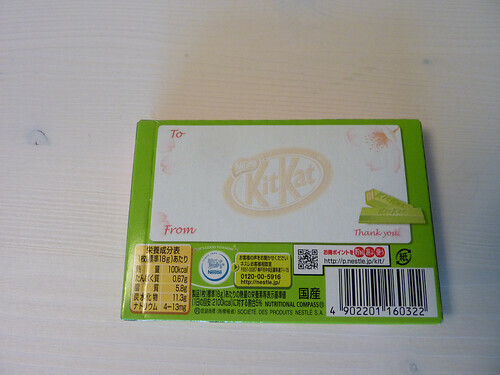 Inside, you find two plastic wrapped candies, just like the KitKats we know and love, except that these are green. 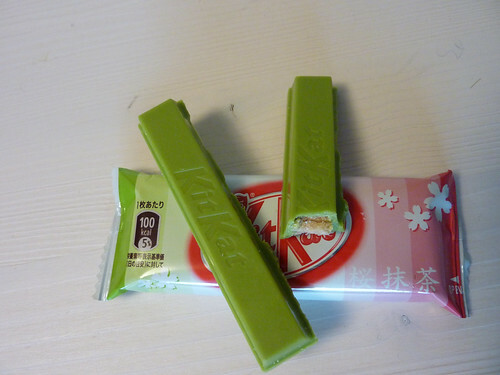 They are green tea KitKats. 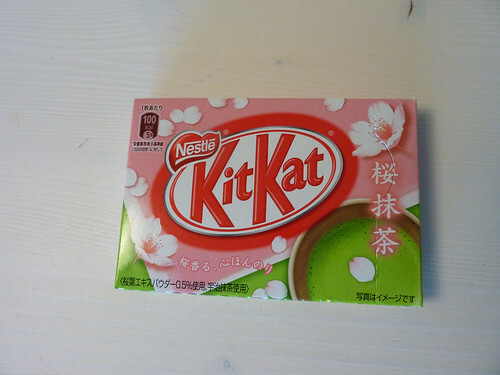 They taste like a combination of white chocolate and green tea. The tea flavor is not very strong at all. They are just as super sweet as the Western variety. They were delicious actually. I’d eat more!